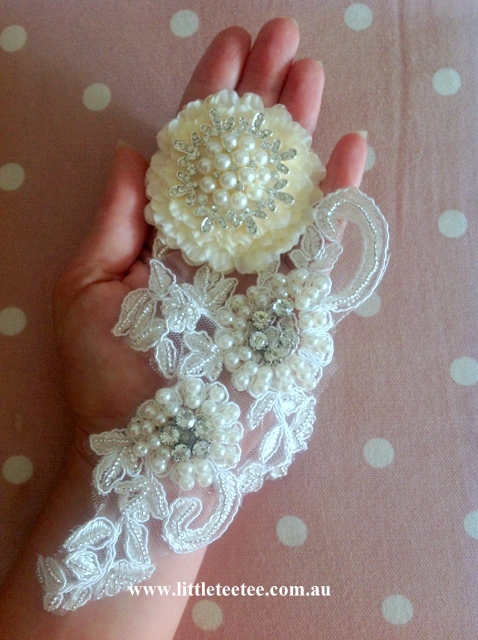 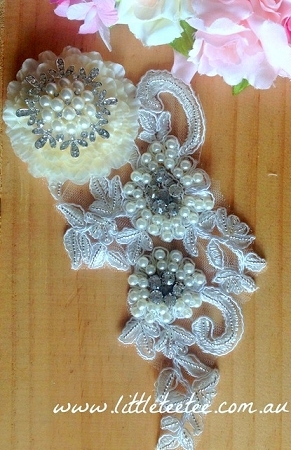 A beautiful flower with pearl and rhinestone cluster centre sits on a delicate piece of Alencon lace. 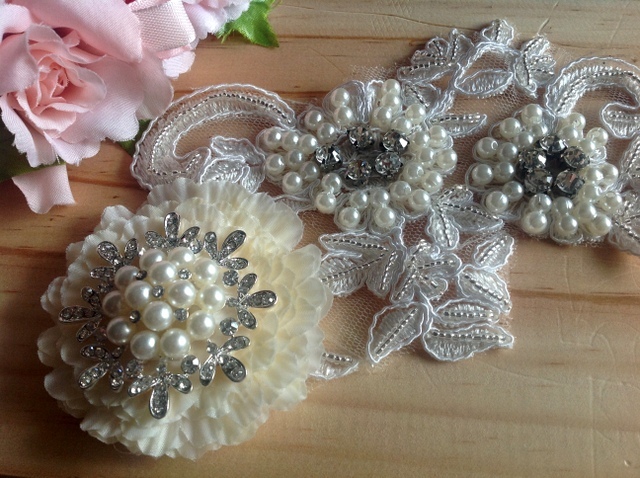 Adorned with a variety of glass beads and stunning rhinestones, this applique is perfect for bridal/special-occasion wear or for anyone wanting to add a beautiful detail on their outfit or headpiece! 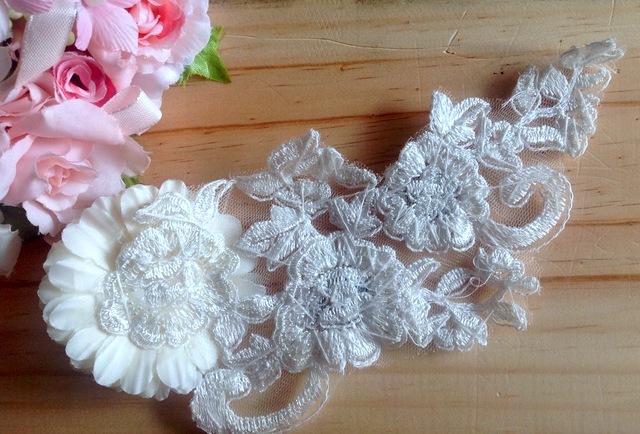 Simply attach a hair comb/clip to the back of the applique to fasten it securely to your hair; or hand-sew the piece onto your gown for a truly stunning finishing touch.